How to Lock your computer in Windows 10 ? There are 2 different ways in which you can lock your Windows 10 PC . 2. Use the options in the Start Menu. 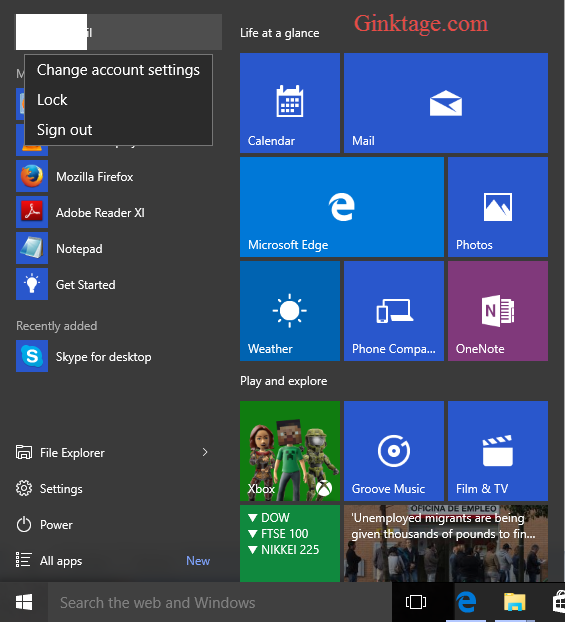 – In the start menu , select the user name in the top left corner. This will display options like “Change account settings” , “lock” and “sign out” . – Select the option “Lock”.